For those of you who haven’t already heard, the Phillies did something yesterday since the first time they were the defending National League champions: sweep a four-game series in Cincinnati. 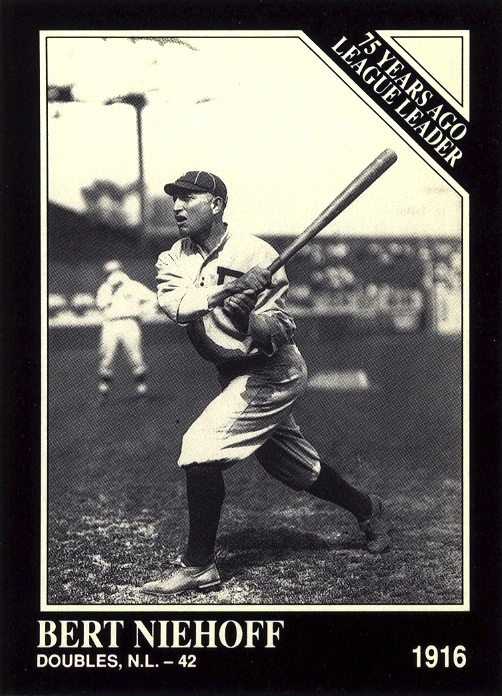 Unfortunately, earlier this week I posted the only vintage card I owned that showed a member of the 1916 squad. Given I didn’t want to just post one of the several Dave Bancroft or Grover Cleveland Alexander issues from the past few decades, my options were rather limited. Thankfully, I was saved by the 1991-1995 Sporting News Conlon Collection set — a team set that any self-respecting Phillies collector should assemble, especially given the cost of pre-WWII cards. 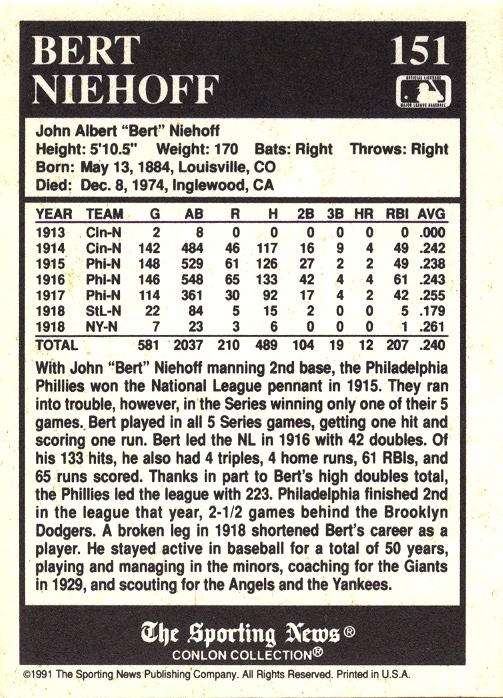 Rather than attempt to write something about Bert Niehoff, who apparently led the NL in doubles that year, I’m providing scans of both sides of the card and letting them provide context. Better still: even though its in black and white and the text is on the small side, it’s still a far more informative and attractive back than the one that Topps designed for this year’s Lineage set.